Do you remember when superhero theme songs had words? Do you remember "Na-na Na-na Batman!" What about "Does whatever a spider can?" Whatever happened to those songs? Do you miss them? 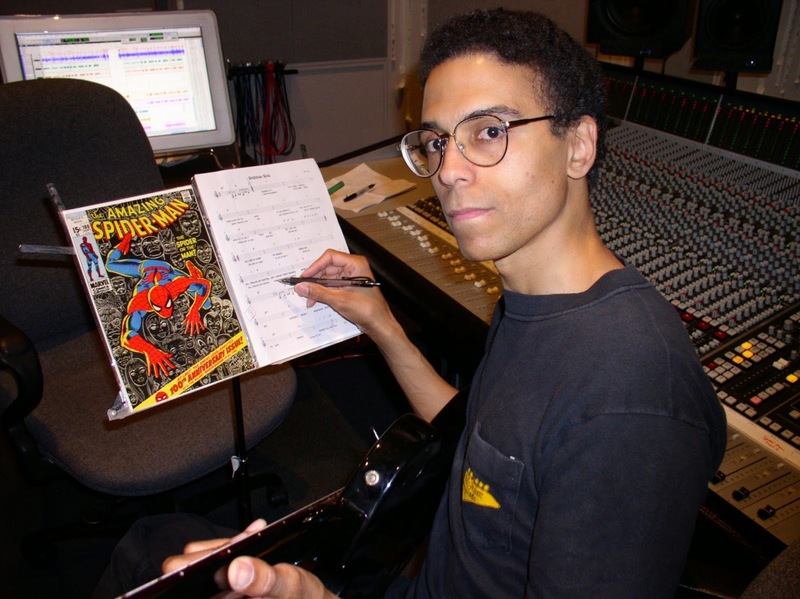 Well, artist and songwriter Ray Wall and his band created a special song for The Amazing Spider-Man 2 called "He's Spider-Man." "We wanted to bring music and image together and make a 'musical comic book' of sorts," Wall said "The video image is partially set up like the page of a comic book with print dots and text boxes. Both the retro-pop musical style and the 1960s’esq animation ethic take us back to the classic early Spider-Man." Get more of "Ray Wall Band's music at iTunes and all major download sites. As a special offer to their Facebook fans you can download a FREE mp3 of the song! See more of animator Shawn Sheehan's work at his web site DoodleHeads.net. And make sure you head to Comic Related for an exclusive interview. What do you think of the song and video? What's your favorite superhero theme song that had lyrics? That was so 70's retro! My niece really likes the old Batman TV show theme. I like it. It's fun and takes me back to my childhood. I still love the old Spider-Man song I grew up with. I remember watching a version of Spider Man with a Canadian dude doing the voice of Spider Man. Hey, there! There goes the Spiderman!" Classique! I wish they'd do this for the movies. I love it. I also like Spidey-Pig from The Simpsons and Inspector Gadget. Not sure they count. Stan Lee cameo @ 1:02. Loved that the villains grooving in their cells. Stan’s the man David! Even Goblin likes the funk. “Spidey-Pig. Spidey-Pig. Does whatever a Spidey-Pig does.” LOL Good call Clarissa. It still holds up Pat!